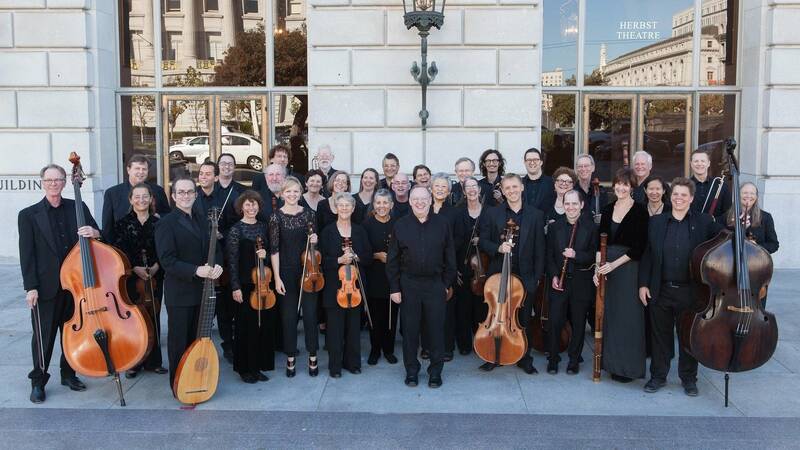 Four years after the San Francisco-based Philharmonia Baroque Orchestra was formed, Nicholas McGegan was hired to be its first music director. 35 years later, he's still finding ways to keep the musicians and the audience on their toes. "We have a whole series of new music written for old instruments, so we have composers who come in and work with us to play music that's fresh off the page, and that keeps our musicians on their toes. It gives them a chance actually to work with live composers, which normally we wouldn't do. Normally we're just good at working with the dead ones." You love introducing the audience to new things, and one of your recent projects was the world premiere of Rameau's original 1745 version of The Temple of Glory. One thing that made this even more special is the libretto was by Voltaire. Tell me how this all started to come together. "First of all, back in — almost in 1991, I think — one of our chorus, who was then a graduate student at UC Berkeley studying Jean-Philippe Rameau, said, 'You know there's a Rameau manuscript at UC Berkeley, and it's of this piece called The Temple of Glory. And it seems to be an unknown version of the piece.' So, he took a look at it and did some work on it and realized that it's a unique score of the original version that was done in front of the king in 1745 in Versailles. "And then we said, 'It would be lovely to do a concert performance of this sometime, wouldn't it?' And then it sort of came out, well if you're going to do a concert performance, wouldn't it be better to do a staged performance? Because it has never been staged in this version anywhere. And slowly you build together a constituency of different like building bricks." In this opera, Voltaire is sending a message to Louis XV. Can you talk about that and how he was able to make his point? "It's all really on the same subject, which is, what are the characteristics of a good ruler? Act one and act two present two deeply unsuitable candidates. The first one is a bloodthirsty thug. You might say in modern terms a Russian oligarch. The second act presents Bacchus, who is much too drunk and much too interested in his lady friends actually to do any work. "And the third act is, 'Okay, so let's present somebody who's really good at it,' and the Emperor Trajan won a battle but released his captors, magnanimous in victory, nice to the girls and was a wise and fair ruler. Point to Louis the XIV. You're a little bit like act 1 and 2, but you need to be like act 3 and — Louis the XV, I should say. Louis the XV didn't terribly like that." What exactly is The Temple of Glory? "That is where you go if you're a good ruler. It's like, in sporty terms you could say it's the governmental Hall of Fame." But Glory, she's a character, too? "Yes, she is a character. She opens the temple up to everybody, and says that everybody under this benign rule of Trajan can partake in the goodies of life."